How can it be that May is nearly over? The month just flew by! While I was focused on getting the cutting garden started my established gardens have suddenly exploded with fresh blooms! 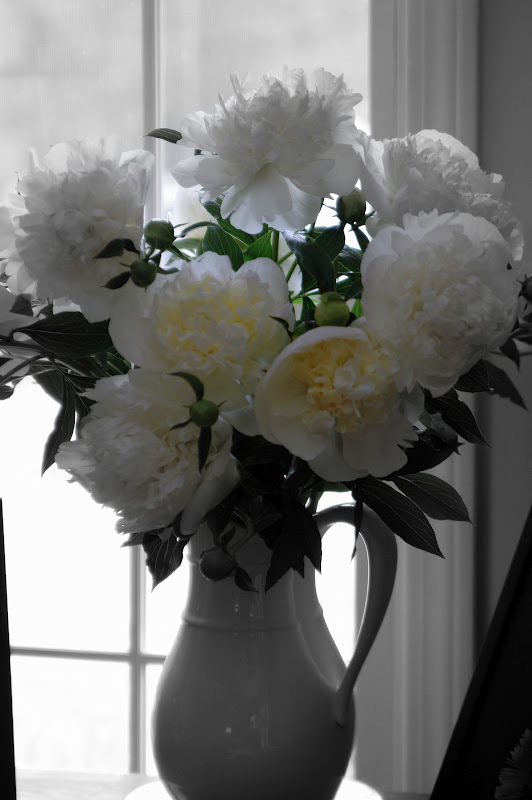 What could be more uplifting than adorning your kitchen table, nightstand, bathroom, and guest rooms with fresh cut flowers straight from your garden! Today I'm sharing some homegrown bouquet's we've been enjoying at Dandelion House and the cottage! 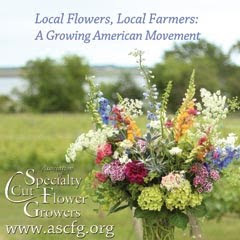 Have you ever noticed how a homegrown ( in- season ) bouquet differs from those purchased from a floral shop or supermarket floral center? For one thing they smell wonderful and present a natural beauty unlike the packaged bundles that come from far away shores. It's true, our homegrown beauties often don't last quite a long in the vase but its' a perfect excuse to just go out and cut what's blooming next! 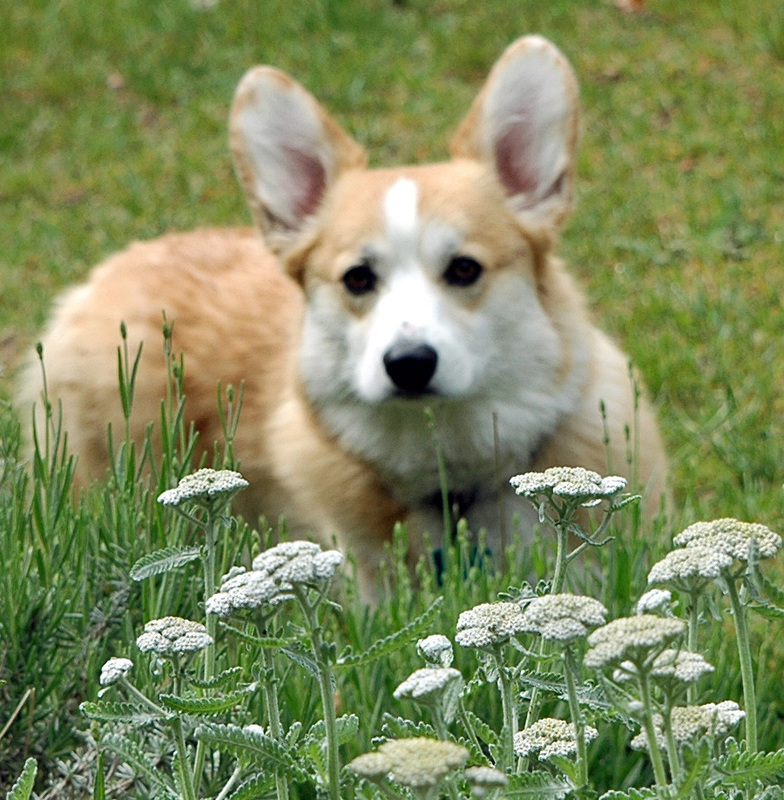 I cut this yarrow just as it was starting to turn yellow. I love the contrast between the red of the bucket and the yellow flowers don't you ? Vases can be anything you like that will anchor your plant and allow it to show off the best! 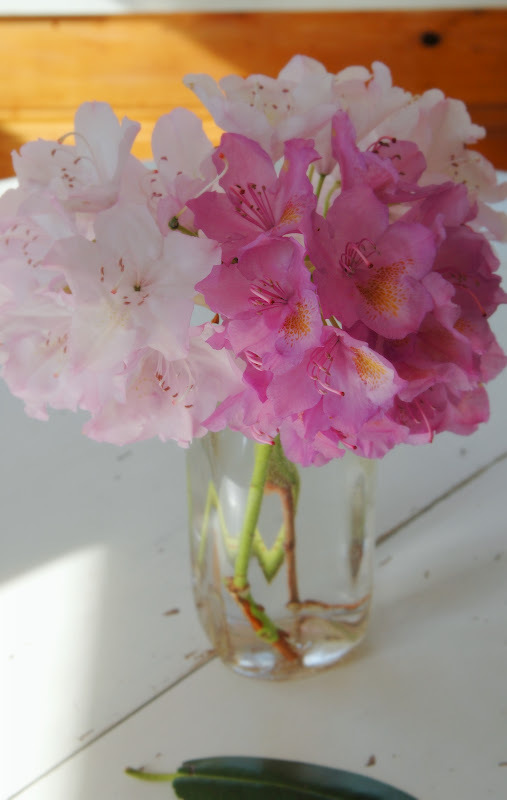 Rhododendron's in vintage milk jar. The opening to an old milk jar is perfect for heavier blooms with thicker stems Just right for some fresh picked blossoms! Rhodie's are also lovely floating in a bowl. I hope you are enjoying some in season blooms from your gardens too! Tell me, what is your favorite container/vase to display your cut flowers in? I would love to hear your ideas! 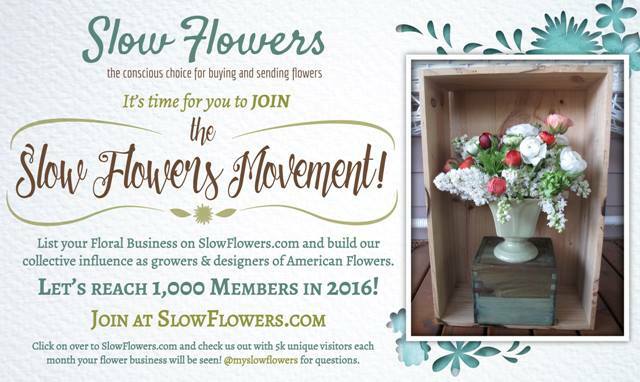 I'm taking my backyard bloomers over to Heidi's Country Garden Showcase! Wanna come? Here we are together again for our favorite hop of the week! It's week #59 of the Farmgirl Friday Blog Hop! I'm loving all the homemade goodness I'm seeing out there! Soaps, honey, milk, pies, cakes, jams, jellies, and more! Keep up the good work farmgirl's /guy's . We've been " making hay while the sun shines " here at Dandelion House! For the full up-date visit the MJF Beach Farmgirl blog! I'll give you a hint... It has something to do with FLOWERS! Now it's your turn to flaunt your farmgirl/guy spirit! 2). 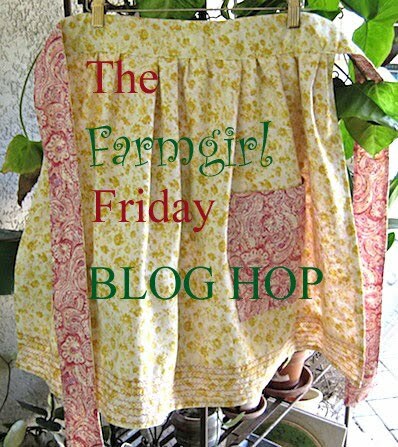 Leave your entry in the Mr. Linky space to your Farmgirl Friday post. Have a great week everyone and thank you so much for all you share here every Friday! Something borrowed, something blue... No, this isn't a wedding post! I wanted to introduce you to a beautiful Heirloom Morning Glory that I planted this week. I heart morning glories and when I saw this variety at the local nursery I scooped it up in a hurry! I've planted them all along the chicken wire run in hopes of beautiful blossoms come late summer, lasting all the way until the first frost. Cant you just see them clambering up the fence and spilling over the top of the chicken run? Me too! 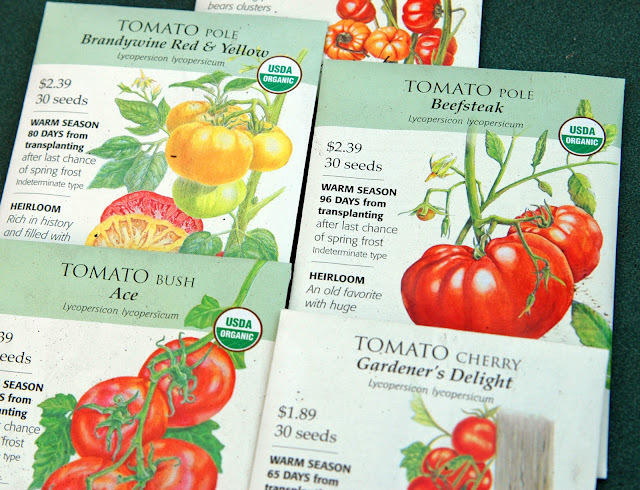 This seed packet includes 6 types ranging from the early 1920's - 1960. They are: Flying Saucer, Grandpa's Ott's, Heavenly Blue, Knowlian's Black, Pearly Gates, and Shiva. Morning Glories can be planted OUTSIDE 1-2 weeks after average last frost. Morning Glories benefit from Sandy well drained soil, and plenty of WATER and perform best in full SUN! Soak them in water overnight or rub them with sandpaper to soften the hard outer shell. 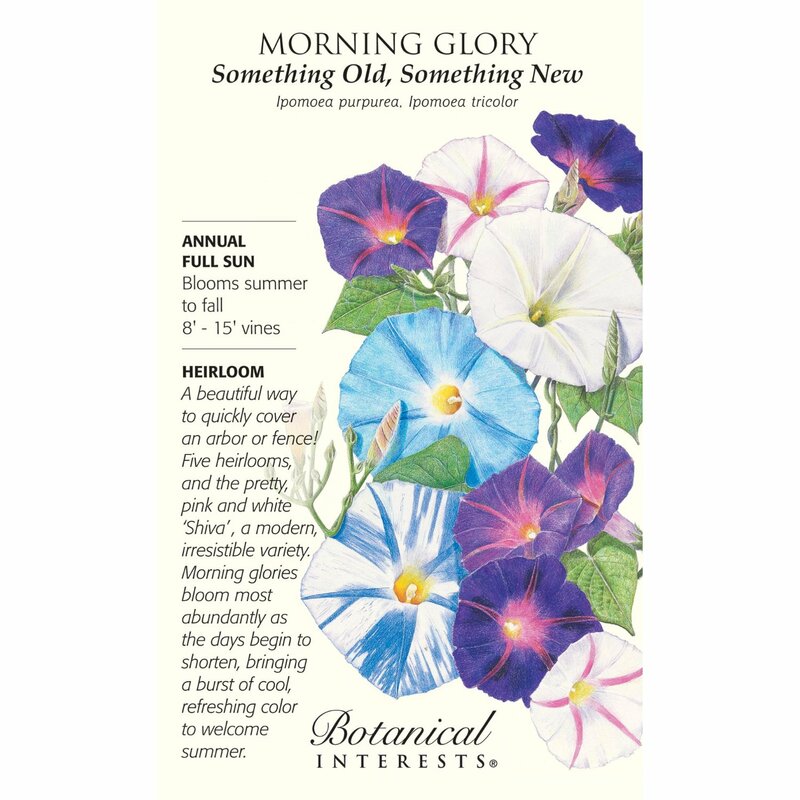 Plant Morning Glories now for beautiful blooms in September. Give them something to climb or cover and you'll be glad you did! Try them on a mailbox, trellis, fence/ rail or as a ground cover next to your favorite perennials! I just bet some of you are Morning Glory Growers too! Happy Monday friends! Whew! I don't think I've ever been so happy to wake up to a misty day as I am today. We worked our tails off in the garden this weekend! (Well, some of them ) At this moment I'm happy to be nice and dry inside! Picture me in my comfy clothes, writing to you with a nice cup of hot coffee and Max by my side. 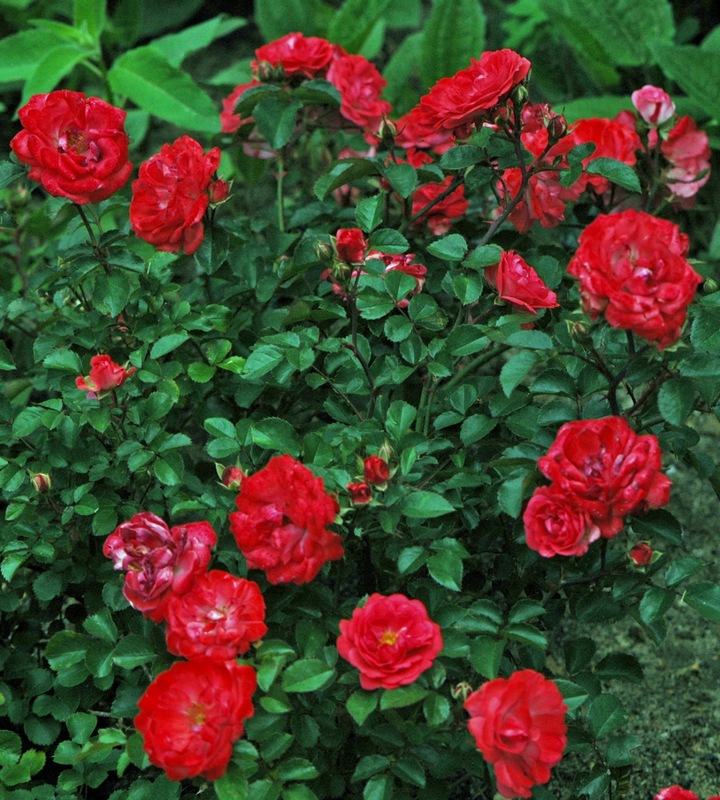 I have to tell you I have fallen in love with Knock Out Roses! I simply adore everything about them. With blossoms ranging in color from the brightest pinks to the softest, subtle pale pink and the most delicious pale yellow. Who wouldn't be smitten? 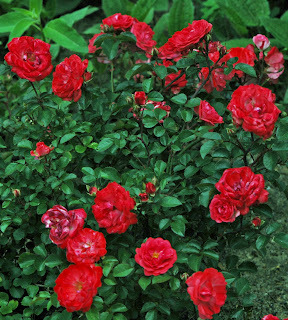 I also added a striking landscape rose called Coral Drift made by the Introducers of the Knock Out Rose that reminds me of one of my favorite nail polish colors in a ground cover variety right near our deck. The color is just mesmerizing, and the scent? Ooh La la! 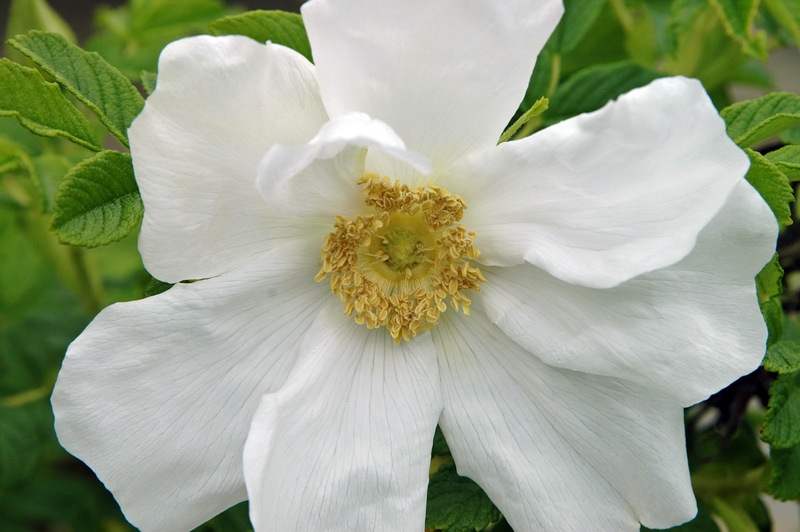 As with any new love affair the thorns have yet to come out but the folks at the nursery swear by them as being disease resistant ( no powdery mildew) with blooms that start in mid- spring and last until the first frost. Sounds like the perfect marriage of a rose Gardner and rose to me! My established gardens were missing some mid -late spring color pop and fragrance, but not anymore! The shape of the blossoms remind me of the wild roses ( sea roses ) that bloom in mass profusion along the road to our cottage. Do any of you grow either of these hardy beauties in your garden? and An Oregon Cottage Tuesday Garden Party! Welcome back to the fun and fan-tab-u-lous Farmgirl/guy Friday Blog Hop! The place where pitchforks and frilly aprons go hand in hand! We welcome new friends and follower's each week to this hardworking and talented community of urban, rural, suburban, mountain and coastal homesteaders! Corral your cows, goats and chickens; grab your garden gloves and join the fun! 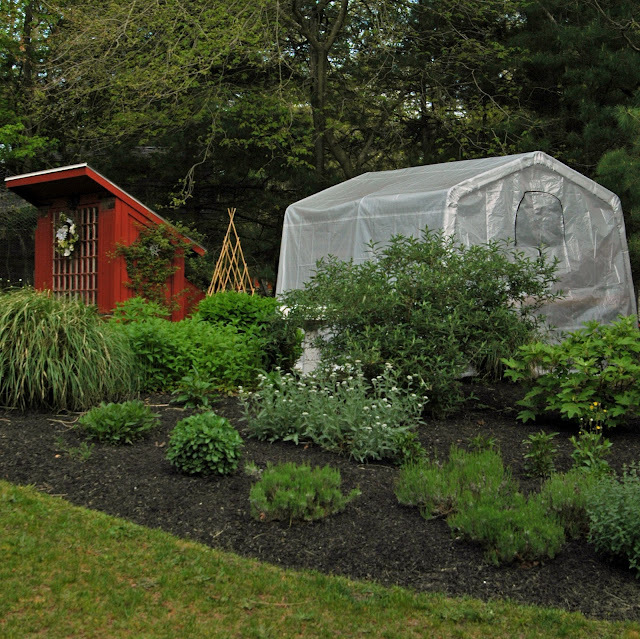 Here's an update from our BACKYARD FARMYARD this week! I harvested the first stocks from our Rhubarb yesterday here at home and at the cottage. I didn't have enough to make a pie ( 4 cups ) but I did have just enough to make Strawberry- Rhubarb Date Compote to smother vanilla bean ice-cream with last night for dessert! It was oh so delicious, fast and easy! Mix fruit, sugar and water in a saucepan. Bring to a boil then lower heat to a simmer stirring occasionally for 10 minutes or until fruit is softened. Add vanilla. Serve warm over vanilla bean ice-cream, pound cake, waffles or pancakes! The Cottage Hens got dessert too! Did I mention how wonderful the compote was drizzled all over the ice-cream with just a dollop of whipped cream on top? Now it's your turn to share what's happening in your farmgirl/guy world! Tell us on the hop! Have a great week everyone and thank you so much for all you share here every Friday! I'm in the garden much of the time ( as most of you are ) with little time for commenting regularly, but please know I am reading and learning from all of you. I appreciate your comments and wisdom when you have time to share it! My first year with a greenhouse has had some ups and downs. Mostly ups. As with any new project there's a learning curve but I'm not going to let it keep me from enjoying the process! So far I love my shelter logic greenhouse. It is sturdy, and heats up nicely even on overcast days which we have often here along the northeastern seaboard. Three flats of Drop Dead Red Sunflowers have sprouted and look very healthy! The Vanilla Ice Sunflowers are popping up as are the Pumpkin on a Stick! Just look at my sunflower babies reaching for the sun! The Cosmos also sprouted in good time and look strong and I'm seeing signs of life in the tomato flats as well! The Zinnia's have given me a challenge... I didn't use any heat to start my seeds and some of them just have not germinated. I'm relying on the heat of the greenhouse to get my little seeds to sprout... One entire tray of Envy Zinnia's didn't sprout and the others have a few popping up here and there! If they don't pop up soon, I'll direct sew them right into the raised beds. Maybe things take longer with out heat? Maybe I didn't water them enough after planting? Maybe some of them were bum seeds? Or, maybe that cooler weather we had last week slowed things down? What ever the causes were, I have overcome the disappointment and have continued planting seeds anyway! I've made a note in my garden journal to plant more than what I think I'll need just in case I lose a few next year. 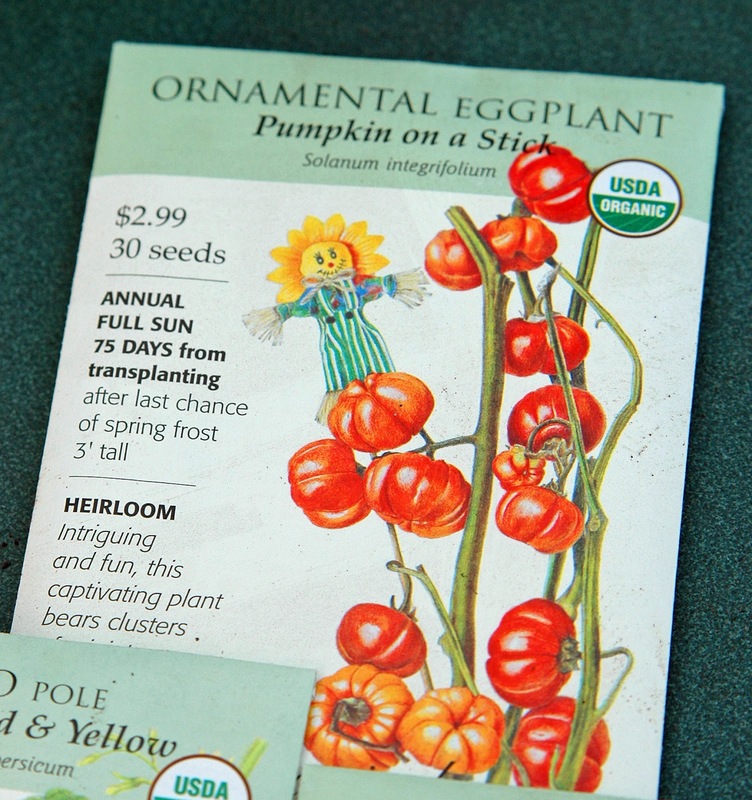 Did you know there is a wealth if information inside the Botanical Seed packets which includes planting, growing and harvesting tips alongside botanical names and how to make your cut flowers last longer. I am loving learning about each flower and vegetable I plant this way. Next on my " to do list " is to implement a way to my garden notes and seeds/seed packets. Little Farm in the Big City shared a wonderful tip in her farmgirl Friday entry last week that I love! Be sure to check out the link for the entire post where she shows a great tutorial. It's easy- peasy and efficient too! I would also add notes at the end of each season. Ratings as a cut flower and what it looks nice paired with . Was it a WOW bloomer? Sweat Peas doing and overnight soak in water for planting tomorrow in this hanging basket. That's the view from the greenhouse today! Come back soon to see what's growing everywhere else! Daydream Window from the rear of the greenhouse. Oh, what the heck. Here's a sneak peak! My Lady Banks rose is going strong on the side of the hen-house! Happy Growing and as always, DANDELION WISHES! 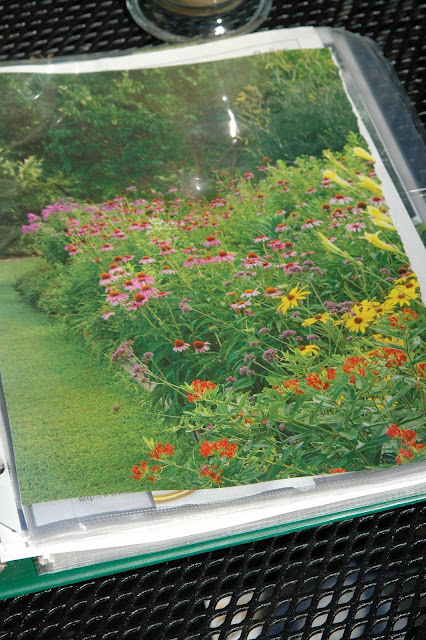 How do you organize your garden notes?I'm taking today's garden notes over to Heidi's Country Garden Showcase! You should come too! PS. I hope you all had a wonderful Mother's Day! I shared some of my " Mom Moments "
over at the MJF Beachfarmgirl Blog in my last post! Come on by for a chuckle! Happy Mother's Day Dandelion House mom's! You all deserve a beautiful day of what ever your heart desires! 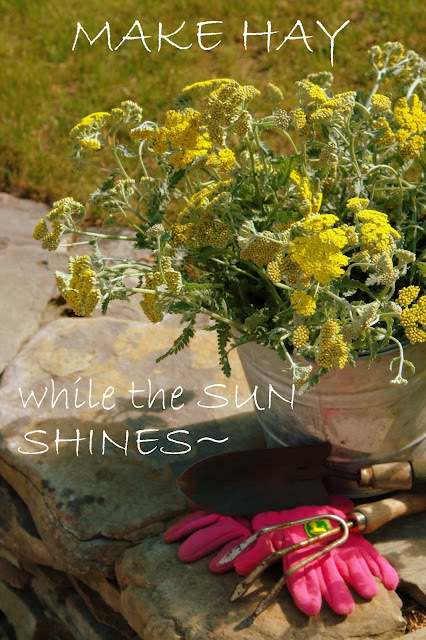 Welcome Friends and newcomers to the 57th week of the Farmgirl Friday Blog Hop! As always your entries were inspiring, providing bushels of food for thought...and recipes too! My two faves from last week were for using Rhubarb which is in season from April - September. Hickery Holler Farm featured Grandma Edna's Rhubarb Cake AND...Nancy from A Rural Journal shared a recipe for Rhubarb Streusel Cakes on her Rural Thursday Hop! I can't wait to try them both!!! Do you grow rhubarb? We have one plant that is in it's third year. This will be the first year that we harvest from it. I found a great site that tells all about how to harvest rhubarb here! This is our plant from a few days ago... It won't be long before we'll be fork deep into some Rhubarb pie...Did you know there is such a thing as Rhubarb Soda too? 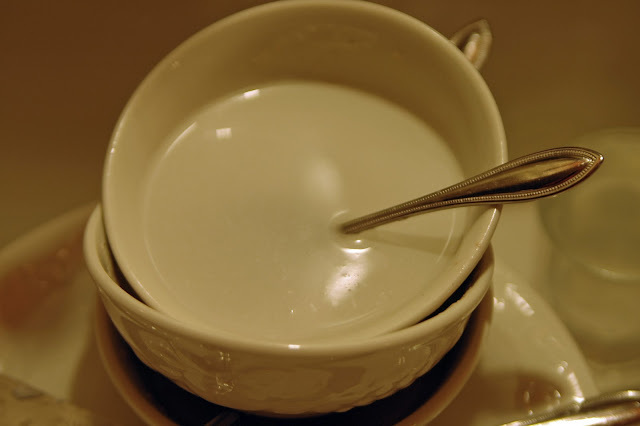 A face book friend of Dandelion House shared a link from Culinate for it! I'm definitely tucking this one away for a hot summer evening in the garden! Now it's your turn to share! What have my farmgirl/guy friends been up to this week? Have a great week and don't forget to leave a note on the garden gate today! As with most new beginnings there are always some nerves, a little nail biting, and small worries in hopes that all your hard work and sweat will pay off... I've been holding my breath as I waited for the seeds I planted on April 28th and 29th to sprout in the greenhouse. After a week of gray skies, off and on rain and cooler temps the Zinnias, Cosmos and Sunflowers have sprouted! WHEW! I'll admit I was obsessing about whether I should have started them on a heat mat instead, but, so far the seeds have sprouted within the proper germination time for each variety. Thank goodness! I'm a newbie at growing from seed and my flower farm dreams hinge on those tender starts growing strong and tall! The average temp inside the greenhouse last week was 50 degrees during the day but the prior week when it was quite a bit warmer it was as high as 90 one day.The greenhouse has two windows that can be opened ( plus a door ) to let out heat and allow fresh air to circulate. Yesterday, I planted all of my tomatoes... It's a little late as we New Englanders go by Memorial Weekend as our last frost date but a few extra weeks won't hurt in the greenhouse and it'll allow me more time to figure out where I'm planting all of them! I chose two large varieties, Beefsteak and Brandywine Red and Yellow, as well as Ace for canning. I have to have cherry tomatoes too so I selected Gardner's delight. Don't you love to just pop'm in your mouth on a hot summer day for a tasty sweet and juicy fix? Just for fun I also planted Pumpkin on a Stick. An ornamental cut flower for fall arrangements! I thought it would be cute mixed in with sunflowers and other late summer bloomers! I also discovered Seed Savors Exchange . 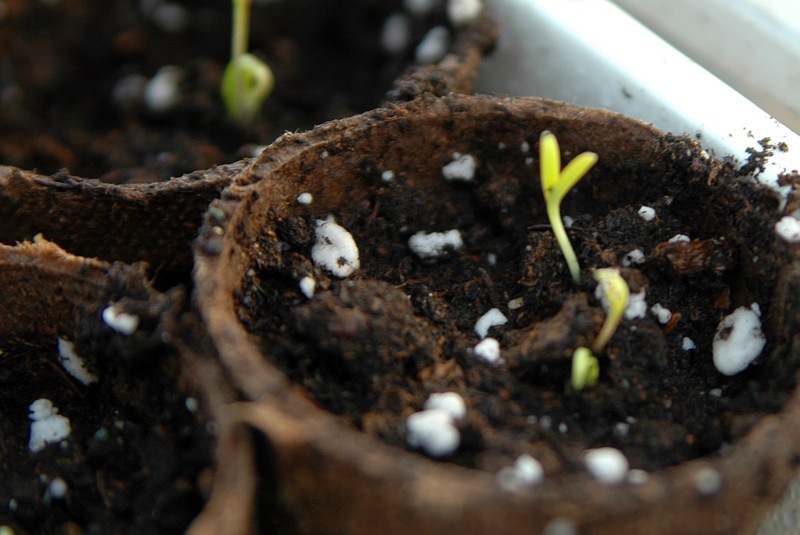 They are an organization dedicated to saving and sharing heirloom seeds. If you don't already know about them click on the link and enjoy learning more! I have a few more flower varieties on order from Seed Savors. The soil is warm enough outside to plant cool weather loving plants such as bush beans, pole beans, sweet peas, lettuce, onions and Swiss chard. Garden Gloves ~ One waterproof and two all purpose garden gloves for doing light work in the yard. I would love any tips for greenhouse growing from any of you experienced growers out there! Do you heat your greenhouse or use heating mats? 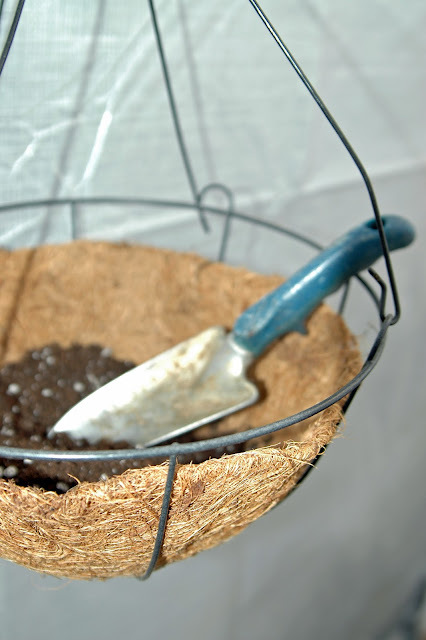 What month do you begin planting seeds in your unheated greenhouse? One kind reader suggested I leave the watering can inside the greenhouse filled with water so it would stay warm for soaking dry potting soil. This has worked out great so thanks for that tip! That's all for today friends! The sun is out and I've got plenty to keep me busy outside today! Thanks so much for stopping by. 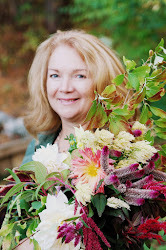 I'm hopping over to the Homestead Barn Hop with this post and Heidi's Country Garden Showcase! Maybe I'll see ya there! Happy Saturday Dandelion House friends. Here's a peek at whats' bloomin' in our neck of the woods. All contents and photos on this blog ( and across my social media platforms)are property of Dandelion House, unless noted with corresponding links or recognition for photos or text contributions.Any sharing of images or text requires my permission and a link back is always nice too. Please enjoy, share and follow.